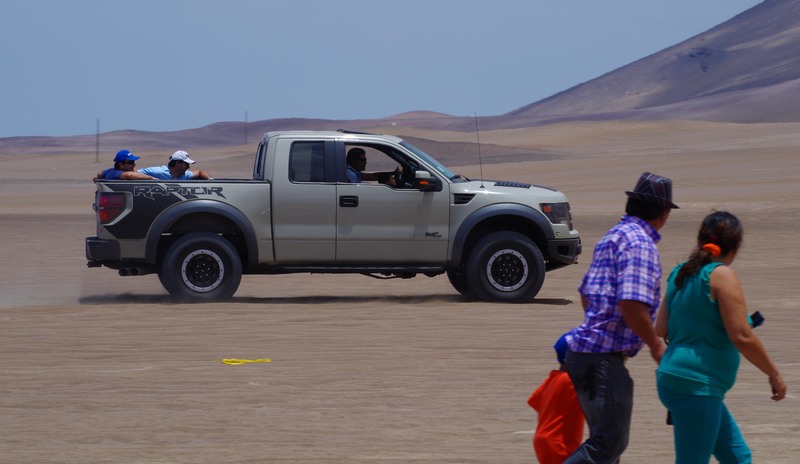 All these folks are hiking up an enormous sand dune on the coast of Chile, so they’ll have a good spot to spectate as Dakar Rally competitors come screaming down. Those of us on foot were definitely craving that breezy truck bed as we slogged uphill to claim campsites. Photographed with a Pentax K50, edited with Adobe PhotoShop Elements 6.